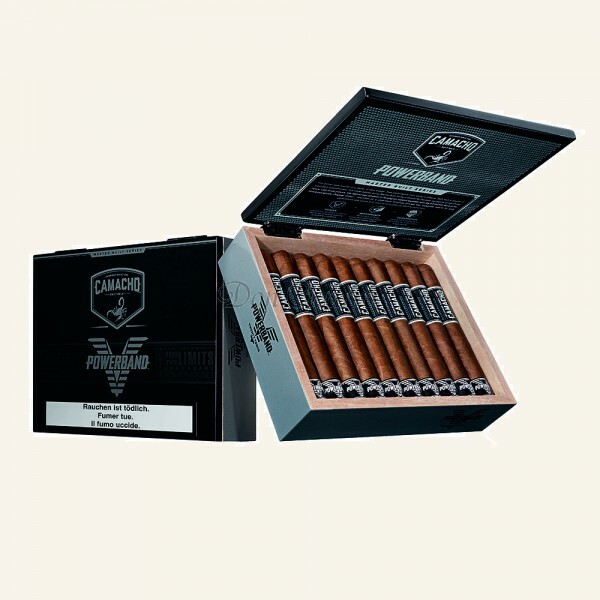 Built with a tandem of legendary powerhouses – defined by the high-octane intensity of Nicaraguan tobacco and the full-throttle flavor of our Honduran grown Original Corojo. Built to ignite your senses, Camacho Powerband™ kicks off with bold notes of chili and pepper, followed by a slightly bitter almond flavor. Engineered from Esteli Ligero and Original Corojo tobaccos from Nicaragua and Honduras, the result is a non-stop, full-throttle ride from start to finish.